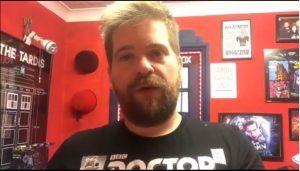 Andy’s new baby was born just one week ago, and his wife has found the support of the Star Buddies invaluable. They are asking you to sign the petition and make your voice heard if you, like them, feel that this service must be saved. In recent times the focus of the Star Buddies commissioned service has been one-to-one mum-to-mum support via text, phone and home visits, as well as antenatal work in clinics and workshops, so there are fewer breastfeeding groups than there were a few years ago. 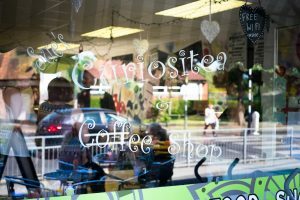 Here are some images from our cafe meet with local families on Friday 26th May to talk about the devastating effects of the loss of the peer support service: scroll down to the bottom of the post for the piece from Radio Lancashire’s Drivetime show. ‘ I really don’t understand where the support will come from if this service disappears? Midwives and Health Visitors are stretched enough as it is and would need extra training to fulfill this requirement. ‘If they (Star Buddies) weren’t there I would have given up. Bleeding three times in 10 days, I would have given up, but having them there knowing that they are there to support us, it has made it so much easier and for me to be able to carry on’ . ‘Without you ringing and coming round, I knew she would have stopped. Now she’s determined to feed her, which is what she wants to do’ (Anecdotal feedback from grandmother). ‘I had the support of Star Buddies with both my boys. From the initial contact in the hospital to having a lovely Star Buddy visit us at home. And then with the ongoing breastfeeding support groups, I felt so supported with breastfeeding. With my eldest it was my Star Buddy recognised my son has a tongue tie and got us referred so that he could have it snipped. Even after the initial 6 weeks of home visits I was still able to speak to my Star Buddy if I had and issues. To end this service is such an injustice to all mummies and mummies to be. ‘The Blackpool star buddies have helped me breast feed my 2 youngest children. Without the help of the star buddies I would not have managed to feed my babies. I had a bad experience trying to breastfeed my 1st child as at the time there wasn’t the help that there is now and I ended up giving up. I was determined to use the help available 2nd time around and the I’m so glad star buddies were able to help me. I had many phone calls with them and quite simply few home visits too. When my son was 10 days old I ended up hospitalised with mastitis and the doctors were telling me to stop breastfeeding. The star buddies visited me multiple times a day in hospital helping me carry on feeding and also helping me clear the mastitis. This was a horrible time for me and I couldn’t have got through this without their help. I have also used their help with my daughter last year. Both children have milk and soya allergies which I have managed by cutting items from my diet. If I had not had the support to enable me to successfully breastfeed my children then this would have cost the NHS as they would have had to have special prescription formula. 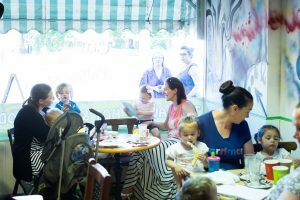 For the last 10 years, new families in Blackpool have benefited from a fantastic local breastfeeding peer support service. These peer supporters –breastfeeding mums themselves – have provided information and support with breastfeeding to pregnant women, to new mothers in the hospital after birth, and via phone, groups and home visits and for up to 8 weeks and beyond, as part of the commissioned service. Infant feeding coordinators have also made sure that the service is fully integrated into the health service, and they have trained Health Visitors and Children’s Centre staff in the community, leading to a Unicef Baby Friendly Initiative award first in October 2011 and then re-accreditation in April 2014. The integrated service has also been recognised as “outstanding” by the Care Quality Commission and been used as an example of good practice by NICE Guidance. The service has helped to bring about a shift in attitudes towards breastfeeding in the local area, and since it began there has been a 50% increase in the number of babies who are breastfeeding at 6-8 weeks. Now all this is about to be lost – Blackpool Council have decided that the service will end on 30 June 2017. There will be no commissioned peer supporters from this time, no one to supervise or co-ordinate any volunteers, and the community infant feeding co-ordinator role is also to be terminated. The council say that health visitors can provide the same level of support to mothers, but this will be impossible. Aside from the antenatal visit between 28 and 36 weeks, Health Visitors only see mums from 10 days after birth – by which time many will have given up on breastfeeding without the valuable help they would have got in hospital and at home from the breastfeeding peer supporters. 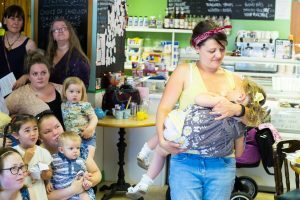 Breastfeeding rates – already low in Blackpool – are bound to fall, leading to increased costs for the local NHS services as more babies visit doctors and hospitals. We are asking Blackpool Council to reverse the decision to end this amazing peer support service, which has helped thousands of local mums. CLICK HERE to sign the petition and add your voice.